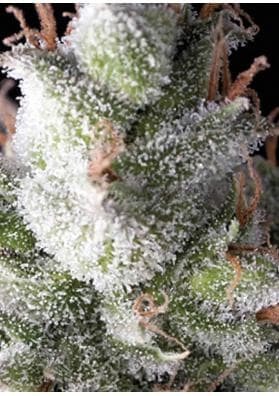 Super Hash is a hybrid feminized indica dominant Marijuana strain, it is an ideal plant for the extraction of pollen. The resin even cover the largest leaves offering huge yields and harboring medicinal properties. 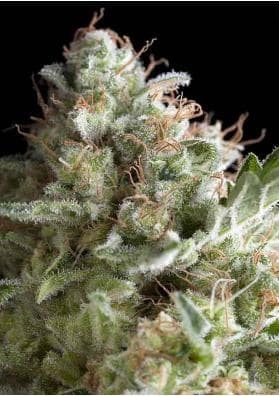 Super Hash is a hybrid feminized indica dominant (90%) Marijuana strain that stands out for having a short flowering period, huge productions and a physical relaxing effect that can be of therapeutic value. All with the unmistakable hashish flavor. It is deservedly described as a super plant since the resin comes even to cover the largest leaves, and buds become crystalline. In a growing room, the plant reaches a considerable size ranging from 90 and 180cm high and after only 55 days it will yield productions between half kilo and 600 grams per square meter. In the garden, the plant becomes even more vigorous reaching sizes ranging from 1 meter and 2 meters and a half with great yields of between 200-1200 grams per plant to be collected in September.